XceedID® offers a new 125 kHz proximity card series offering providing complete compatibility with HID® prox technology. The cards, produced in cooperation with HID Global Corporation ("HID Global")/Assa Abloy AB, are comparable to HID Global’s own proximity cards and offer comprehensive compatibility with HID Global’s complete line of HID proximity card readers. XceedID's new offering is the result of cooperation with HID Global and creates a new source for HID Global's proximity technology that has proliferated as an industry standard over the past two decades. 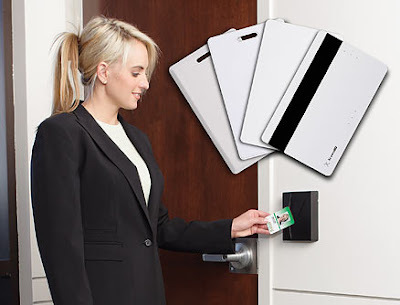 The card offering will include typical ISO proximity cards, ISO cards with magnetic stripe, clamshell cards, and dual technology cards (sometimes called “combo cards”) which employ both proximity and smart card technologies such as MIFARE®, DESFire®, Infineon Secure my-d® and XceedID ISOX®. Customers interested in sourcing XceedID cards that are compatible with the leading HID® prox technology from XceedID may contact Laminex at (800) 438-8850. The Schools Interoperability Framework, a set of specifications created a decade ago to allow diverse educational software applications to interact and share information automatically, has come of age. District leaders across the country say that turning to SIF-compliant software has made a noticeable impact when it comes to fulfilling another popular administrative mantra—data-driven decision making. Interested in SIF Compliant Photo ID Card Software? We currently install and support software meeting this requirement. Just e-mail or give us a call for details. Zebra introduces the new HC-100 Wristband Printer! This direct-thermal printer features easy loading color-coded wristband cartridges that are available in multiple sizes. The printer creates personalized wristbands at 2" per second including grayscale photos, 2D barcodes, logos, and text data. According to the March 3, 2009 CNN Money story covering the new soft nylon bands for hospitalized infants, the new wristbands bands are able to carry bar-coded patient information to aid in accuracy when tracking patient data and medications. Promoters and security personnel can now print special events wristbands on the fly, including variable data based on the ticketholder's age and personal information. Visitor management programs are able to use the wristbands to replace the basic adhesive labels that can easily be transferred between persons. Wristbands are more secure because of their tamper-evident features. See more information on the HC-100 printer and related supplies here. Download a PDF product data sheet here.